Senate Minority Leader Harry Reid of Nev., pauses during a news conference on Capitol Hill in Washington. 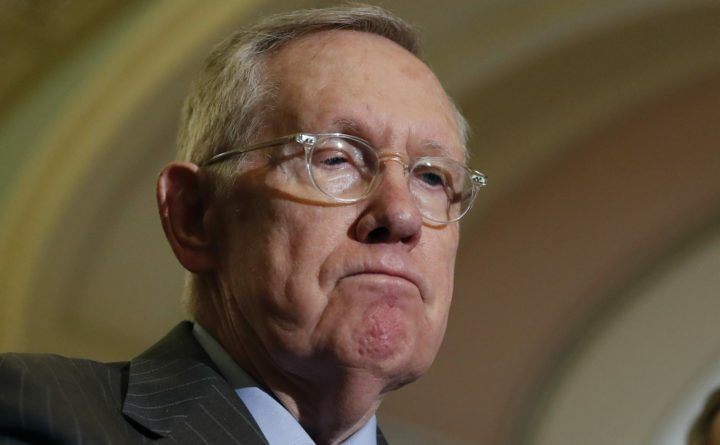 Reid is recovering after quietly undergoing surgery Monday. Former Senate Democratic leader Harry Reid has been diagnosed with pancreatic cancer and underwent surgery Monday to remove the tumor, his family announced. Reid, who led the Senate Democratic Caucus for a dozen years until his retirement in early 2017, had the surgery at Johns Hopkins Cancer Center in Baltimore, and now plans to have chemotherapy treatments, according to the statement from his family on Monday. Reid, 78, has spent most of his time in retirement in Las Vegas and has traveled to Washington just a handful of times, according to a person familiar with his travels. He, along with former House speaker John Boehner, R-Ohio, serves as a co-chair of the MGM Resorts International Public Policy Institute at the University of Nevada-Las Vegas, and he also is a fellow at the university’s law school. The former majority leader announced that he would retire after three decades in the Senate in early 2015. Reid was succeeded in his Nevada Senate seat by Democratic Sen. Catherine Cortez Masto, and as leader of Senate Democrats by New York Sen. Charles Schumer.